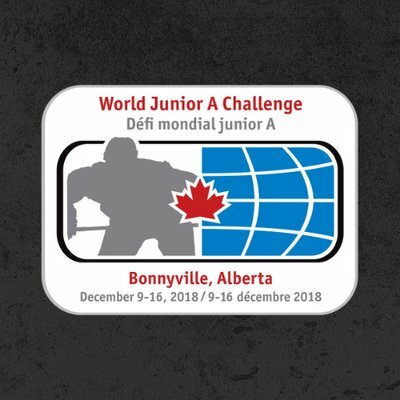 Eight players from the Ontario Junior Hockey League will play for Team Canada East at the 2018 World Junior A Challenge beginning Sunday in Bonnyville, Alta. The team’s roster was announced Tuesday. The OJHL players are Riley McCutcheon and Jamie Englebert of the Cobourg Cougars, Spencer Kersten (Oakville Blades), Ty Glover (Buffalo Jr. Sabres), Eric Ciccolini (Toronto Jr. Canadiens), Jack Watson (St. Michael’s Buzzers), Dustyn McFaul (Pickering Panthers) and Trevor LeDonne (Brantford). McFaul was selected by the Boston Bruins in the 2018 NHL Draft. Ciccolini and Glover are ranked for the 2019 draft. 40 Team Canada East hopefuls gathered at the MasterCard Centre in Etobicoke, Ont., for three days of games and practices this week as part of the evaluation process. That camp winds up Wednesday morning.